Mimaki Europe, a leading manufacturer of inkjet printers and cutting systems, today announces that it will host visitors to FESPA Global Print Expo 2019(Munich, Germany – 14-17 May, 2019) on its largest ever FESPA booth. 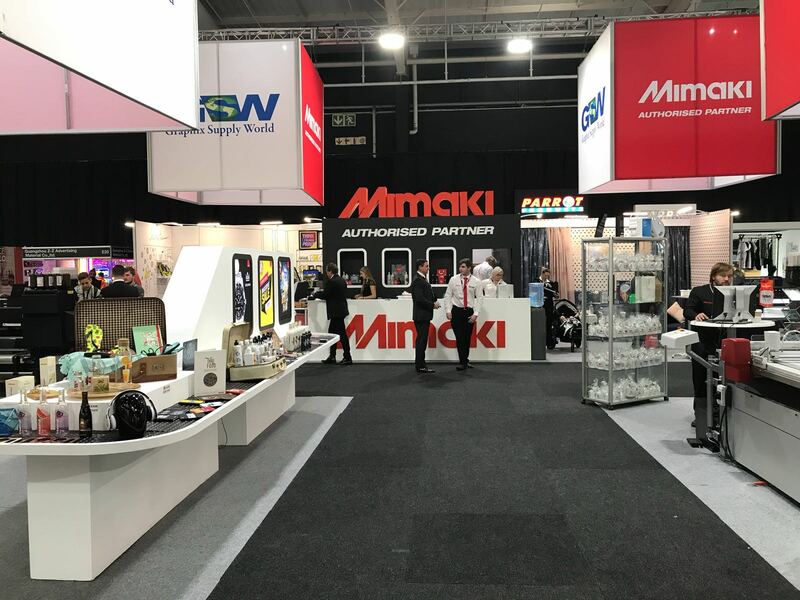 The company’s increase in stand size reflects not only Mimaki’s broad portfolio offering, but also its international growth, market leading position and commitment to customer success. Mimaki will also use the show platform to launch new feature-rich products to drive customer differentiation and profitability. Mimaki CJV150-160: An entry-level eco-solvent integrated printer/cutter, offering high performance, versatility and richness in colour. Equipped with vibrant ink types including silver, orange and light black, it delivers a cost-effective solution for sign makers, display graphics professionals and print shops. 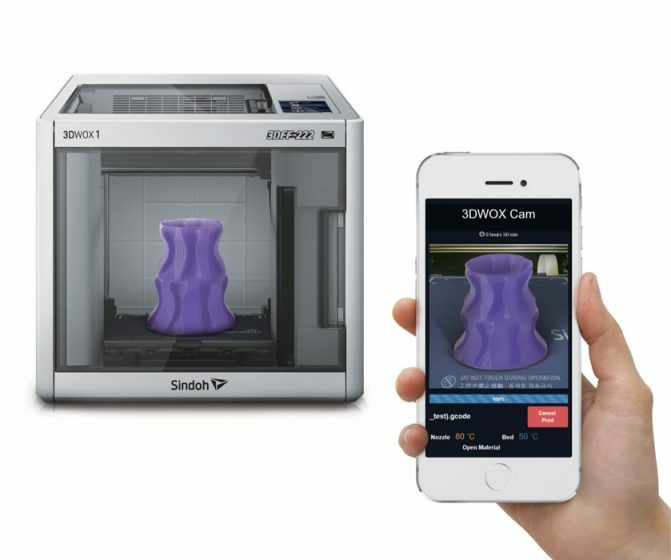 Commercially available from the end April 2019, the 3DFF-222 system prints in PLA material. Using easy-to-load filament cartridges, it prints parts up to 210mm x 200mm x 195mm (W x D x H) and offers remote monitoring of each print job through a Mimaki app. The new platform joins the 3DUJ-553 in Mimaki’s portfolio of 3D printers, to which Mimaki has applied the expertise from its long heritage in the graphic arts. Consequently, both systems offer enduring reliability and have technical support and customer service in place across the globe. It was almost by coincidence that three young technology students met in 2013 and together developed Flic, the market’s first Smart Bluetooth Button. In the era of “Internet of Things”, when the interest in online homes started to sprout, Flic quickly became a multi-million Rand affair with partners and production sites all over the world. With a short click, double click or a long hold, consumers and businesses in more than 110 countries would be able to control lighting or music, call for a taxi, order room service and call for help, all with a simple click of a button. Thoughts of bringing the printing in-house started to grow, and during a printing convention in Stockholm 2016, Sharifat met with Mimaki’s reseller, to discuss UV-printing. “I had read about Mimaki and knew that they were one of the biggest print suppliers in the market. We were introduced to the UV-printer Mimaki UJF-3042MkII, four colours plus white and varnish, 1200 x 1200 dpi, which really suited our needs. UV is essential because the print on our products needs to be scratch resistant. We calculated that printing more than 2000 buttons in one year in-house would be profitable and so we went for the leasing option of one Mimaki UJF-3042MkII,” says Sharifat, who emphasised the importance of flexibility in a forever changing future. After a successful installation, the technicians and IT-experts in the Shortcut Labs team have all gradually become printers. “We were a bit anxious at first – is it going to be difficult to learn how to print? How much daily maintenance will the new printer require? All we wanted was to find a useful tool without having to focus too much on the machine itself. With guidance, I learned how to run it and now everyone in the company is involved in the printing jobs,” explains Sharifat, while demonstrating the Mimaki UJF-3042MkII with a 30 x 42cm table size placed in a corner of his office. Shereno Printers is one of the leading printing companies in Gauteng, serving the print and design needs of companies and individuals across South Africa and beyond. 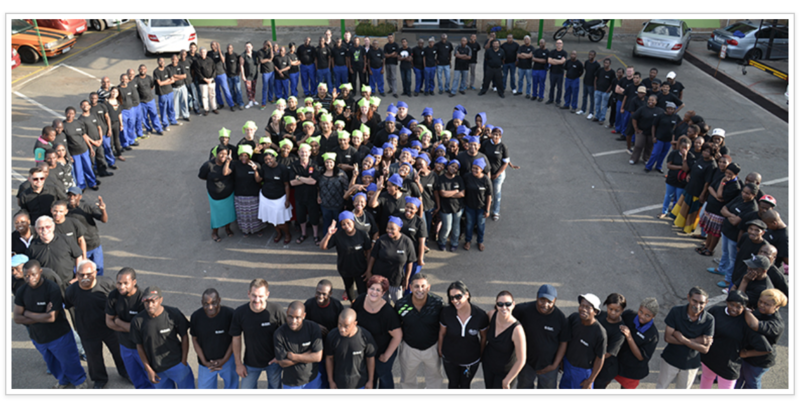 What started off as a humble, family-owned printing business back in 1966, operating out of a single-roomed premises in Benoni, has quickly grown to become the largest independent provider of full-service printing solutions, occupying 17 500 sqm of operational capacity under one roof, with additional satellite offices in Pretoria. They have expanded their election campaign printing further up north in Africa, to the Congo using Graphix Supply Worlds High Performance flag fabrics. 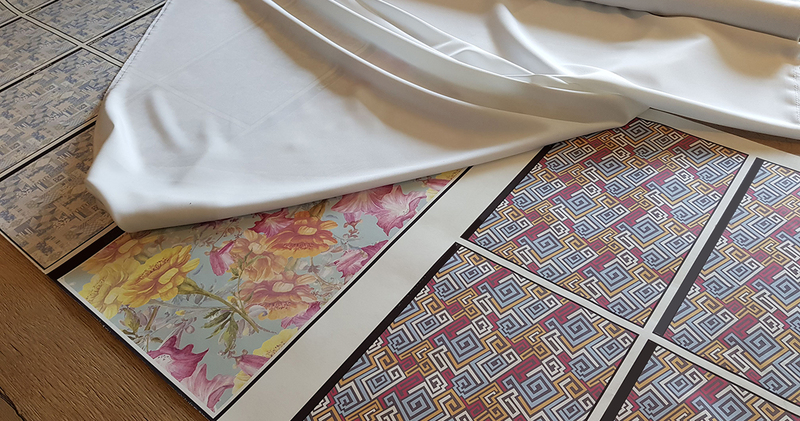 This leading printing company has recently purchased their second Mimaki JV5-320 DS dye sublimation printer for their high-demand work flow. 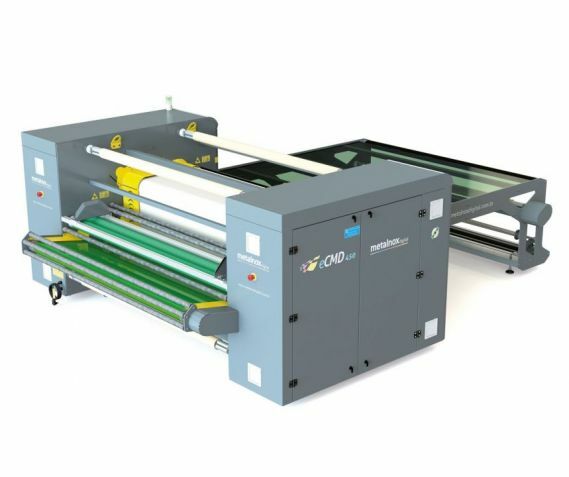 The JV5 is a superwide, fast direct and dye-sublimation printer, high in quality and prints up to 3.2m wide. Shereno have the passion and drive to build up an imaginative look at where they are heading. Their vision to on the forefront of defining print excellence and delivering superior service continues to be the cornerstone of their operations. They aim to ensure no only that they continue on their journey but that it only gets better. Dye sublimation transfer printing is the most widely used form of digital PES textile printing. But it’s also the most challenging; there’s no other printing process where so many items – textiles, ink, paper and machinery – come together to determine the success or failure of your business. Whether it’s shrinking textiles, wrinkling paper, or incorrect machine settings, there are many mistakes to be made. the right environment, meaning the optimal humidity and storage conditions. Once you’ve got all three, you are ready for quality printing. Interestingly, it’s at this point – where all the costly items come together – that the value is added to your product. And a good heat press will last a long time, requires a minimum amount of spare parts and can run virtually unmanned. But the machine itself must be absolutely consistent in its heat source and belt guiding. Temperature deviations, shifting of materials and uncontrolled paper feeding are also common mistakes. A good printing calender will not make a bad print better, but a bad calender will destroy a good print. JCT Developments is expanding with a recently installed EFI™ VUTEk® HS125 F4 hybrid flatbed/roll-to-roll printer from Electronics For Imaging, Inc. (Nasdaq:EFII). The printer allows the company to increase printing capacity and focus on new business. “The machine is far outperforming all expectations, cutting the production time of 100 double-sided set-size Foamex boards (1200mm x 1700mm x 5mm) from eight hours to 45 minutes,” said JCT Developments Managing Director Julian Turner. The VUTEk HS125 F4 printer’s production speed, which is faster than JCT anticipated, enables the company to further improve print capacity and focus on expanding its business. Turner expects good growth for his company in 2019. JCT Developments’ new VUTEk is a versatile 3.2-metre hybrid flatbed/roll-to-roll inkjet printer, featuring Fast-4™ technology that uses eight ink channels in a CMYK x 2 configuration for high-speed throughput. This results in higher speeds for outdoor- and distance-viewed graphics. The machine prints up to 225 boards per hour with resolutions of 600 or 1000 dpi and greyscale print capability. The EFI VUTEk HS125 F4 performed better than any other machine JCT Developments tested. Moreover, the fact that the printer is a hybrid flatbed and roll-to-roll solution brought an additional bonus to the company; JCT Developments now has even more capacity to produce short to high run work on an extensive selection of flat sheet and roll fed substrates. Turner was particularly interested in the printer’s ink adhesion and the manufacturing process on Correx®, a corrugated plastic. According to him, the adhesion proved to be outstanding and the best he had ever seen, with no loss of colour gamut or speed. “Correx is a very hard substrate to strike a happy medium on,” said Turner, “but we can run it full throttle on the HS125 F4. “It quickly became clear that the HS125 F4 is not only fast, but provides good quality of print, plus less expensive ink prices compared to other suppliers I use,” he added. JCT Developments specialises in advertising and POS (point of sale) signs as well as display graphics, works for various well-known blue chip clients, and has a production staff of 24 people. An avid “I love my Mimaki , GSW’s customer – Gavin, owner of Arrow Signage was more than complimentary of his Mimaki’s and GSW’s service and technical support. 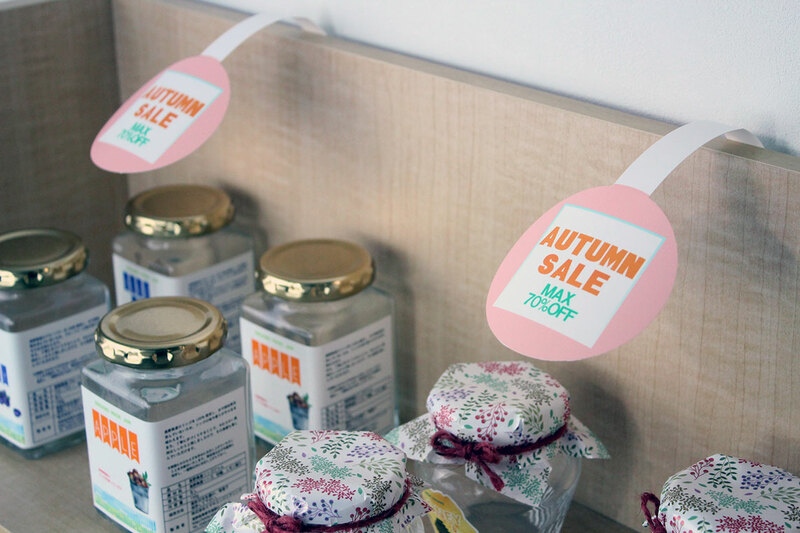 Starting the company just five years ago they have grown in leaps and bounds from a chemicals industry to seeing a major need in labels where they began production at night and focusing on signage during the day. The first machine they purchased from Graphix Supply World was the Mimaki CJV150 print & cut then traded it in for the SWJ 320 for PVC banners, tarpaulins etc. A month later they acquired the Mimaki CJV30-160, thereafter it was a sky rocketing business evolution with further acquisitions of Mimaki’s such as JFX200 and UJV55-320, UCJV series to name a few, adding to their portfolio of exceedingly advanced digital equipment. Arrow Signage offer a full-service design, print and sign studio. Based in Alberton, Gauteng, they specialised in creating and producing vibrant eye-catching, high-quality commercial signs for businesses nationwide. Our selection of products includes everything from direct UV flatbed printing, large format banners, laser cutting, custom signs to vehicle wraps, decals and even fully customized signage. Unlike purchasing from a third party, when you choose services from Arrow Signage, you are buying direct from the print house. You get the best deals on great custom signs without sacrificing the quality or integrity of your branding. We have the experience and knowledge necessary to provide you with beautiful, durable, and well-built custom signs for any of your signage needs. Why choose Arrow Signage? Their skills and knowledge as top market suppliers, digital management software, guaranteed deliverability and their outstanding customer service, shorter turnarounds, artwork and sampling and remarkable print quality. Proudly, they are the first to achieve the day and night prints using the UCJV300 series, and have Mimaki, GSW and customers in absolute awe with what Arrow Signage are able to achieve with their Mimaki’s. The Mimaki UCJV300 Series is currently the leader in future sign and graphics through UV innovation. It is a versatile inkjet printer having a combined function of both printing and cutting mounted with UV-curable ink. UCJV300 Series is a high spec model equipped with the 4-layer/5-layer print function in addition to UV LED print and Print & Cut. This new model is enough to cover wider ranges from a quick job with short delivery time to an avant-garde signboard. Over all, Arrow Signage say they are very happy with Graphix Supply World’s service, the outstanding equipment and their technical support is brilliant within a day their machine is seen to and sorted. 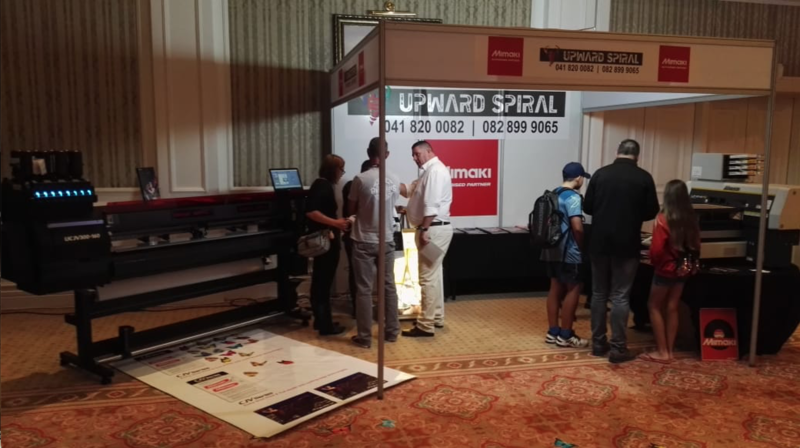 Upward Spiral, Mimaki and GSW’s Eastern Cape distributor, based in Port Elizabeth formed part of the team at this months Africa Print Expo. Visitors attending the shows are continually looking for the latest in print technology as the industry progresses at a rapid pace. Mimaki and Graphix Supply World not only meet the requirements of Affordable technology but are years ahead of their opposition with their high quality equipment with incredibly high print speed rates. On the Mimaki | Upward Spiral stand they showcased the Mimaki UCJV 300-160 – the leader in the future of sign graphics through UV innovation, a high-spec model equipped with the 4 layers print function in addition to UV-LED print and Print & Cut. It is a versatile model widely supporting job by short delivery time to advertisement sign with leading design. As well as the Mimaki UJF MKII series – a high performance, state-of-the-art, small format LED UV printer, a flatbed LED UV printers bring increased productivity and ease of use to on-demand, direct to object printing. Available in A3 or A2 format, these new models build on Mimaki’s peerless heritage to offer spectacular creativity and limitless opportunities when printing onto almost any material. The leaders in print technology supplies (GSW and Upward Spiral) continually offer excellent service and on-the-day technical support. A new equipment version, much more agile and totally adequate for better ergonomics of the operator, the eCMD450 Calender is a product with 100% Brazilian technology which is totally developed and manufactured by Metalnox. The eCMD450 Calender has a “High economy“ system, the exclusive Metalnox system, which is the most economical in the world, with a 14.2 kW/h consumption. Another important differential of this new version is the possibility of automatic initialisation: it can be defined by days of the week or by a specific date and time. With economy and agility as the cornerstones of the design, the eCMD450 Calender comes with a direct pressure cylinder on the felt, allowing greater colour impregnation in the fabric, giving a perfect result. Every Metalnox equipment also has 1 year warranty on the equipment – when purchased new*. Larger contact area (better use of the thermal cylinder, with a higher “embrace” of the cylinder by the felt). For faster process, it is possible to program recipes according to the operator’s needs. Cylinder with hard chrome coating for high durability with 450mm diameter and total length 1.9m, with 75% of perimeter utilisation area. Scheduling System for automatic initialisation, it can be set by days of the week or by a specific date and time. Direct pressure cylinder on the felt for deeper colour impregnation. *Ts and Cs do apply.